Remember I bought a couple of metres of adorable swiss dot at Walthamstow market a month or so back? I’m trying my hand at making a one-size-fits-all-or-at-least-most nightie with contrasting yoke neck for myself. If it works out and looks good I might think about running a few up to sell on Etsy or something (hey this kid’s gonna have to eat and my maternity pay is shite). But I’ve got to get it finished first. So that’s first up come Saturday morning. We are now on 145 squares and the blanket’s measurements so far are 40 by 45 inches. I’m loving this project and I’ll be completely bereft when it’s over. To be honest I’m not even sure when it will be over. Will I just be forever addicted to churning out pink, white and grey granny squares until I cover everything south of the Watford Gap? 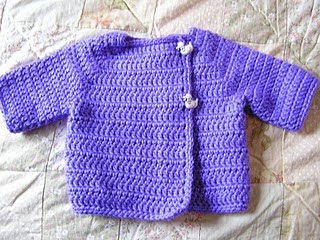 In an effort to prise me away from the granny squares I’ve started on a crocheted baby cardigan, using a free pattern from Bella Bambina Knits. 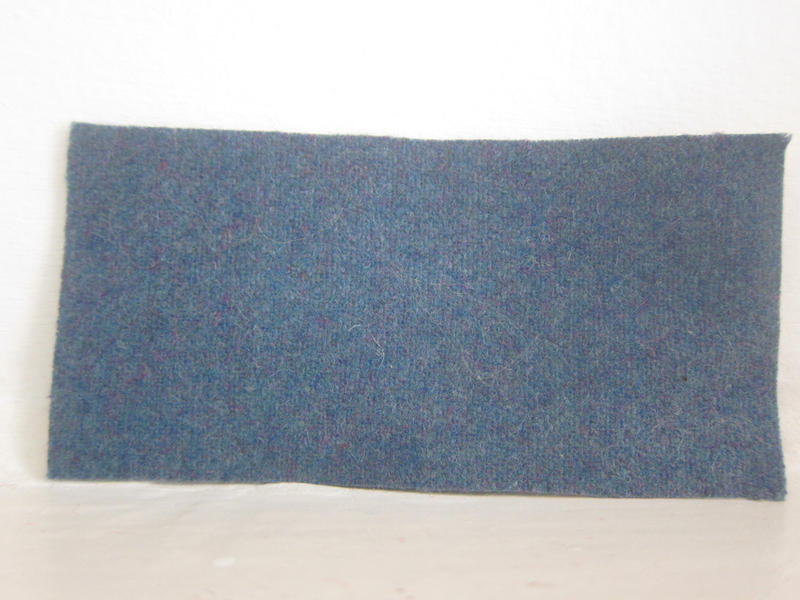 Below is what the finished cardigan is supposed to look like. It’s. so. damn. cute. it. kills. me. This is the first thing I’ve attempted to crochet other than granny squares so we’ll see how it turns out but it’s such a lovely little project to undertake and I just love the wool and the colour – it’s Debbie Bliss Cashmerino in teal. 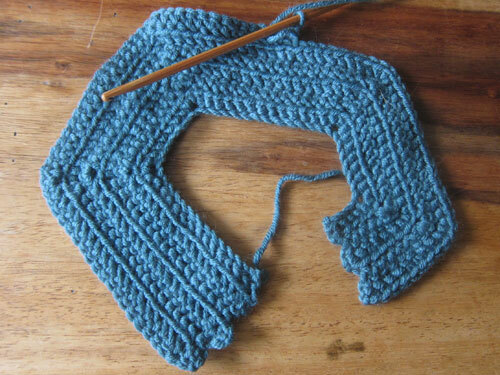 Oh yeh – I forgot to mention this baby will be dressed entirely in teal whether it’s a boy, girl or monkey-cat hybrid. Awesome colour. What are your weekend plans – crafty or otherwise? The Winter Coat: What fabric to choose? 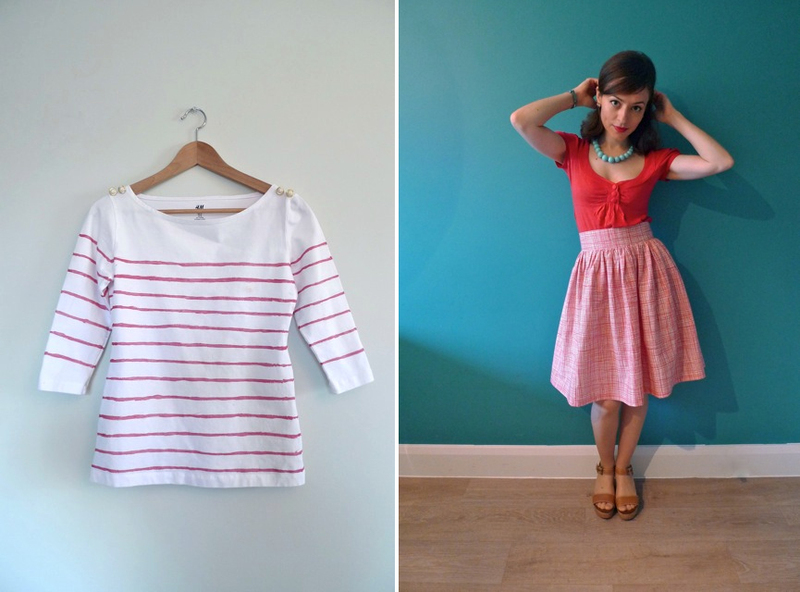 Yep – Simplicity 5148. I loved this pattern from the off – the collar, the pockets, the chance to make the buttons really stand out. 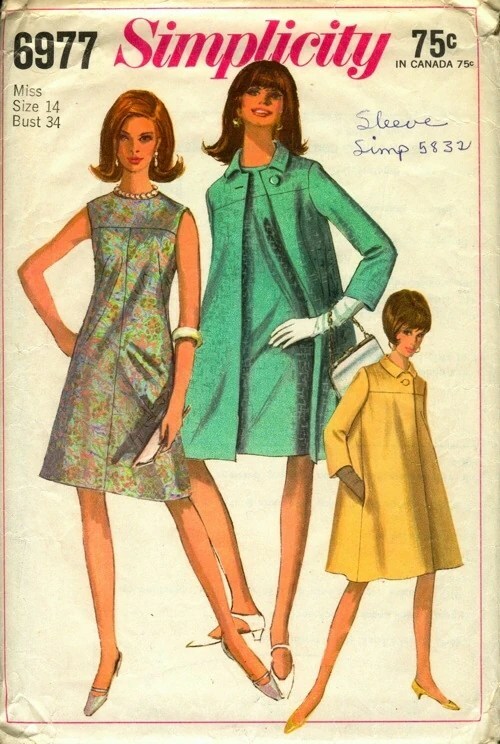 I loved Simplicity 6977 too but I felt that it was a touch too formal for me. It would be perfect as a coat for a bit of a do like a wedding, but for everyday comfort and style it was 5148 all the way. Plus, as Karen pointed out in her infinite wisdom, “I can hear my Mum’s voice as I say this, but… Are four buttons more practical than one? ” YES you’re damn right they are Karen my love! But they’re also more FUN! By the time I finish this and the weather turns proper cold I will have had the baby as well so hopefully won’t have need of the extra space at the front that the one-button closure would have afforded, but a good point to make nonetheless for those of you that did! So that’s the pattern sorted. 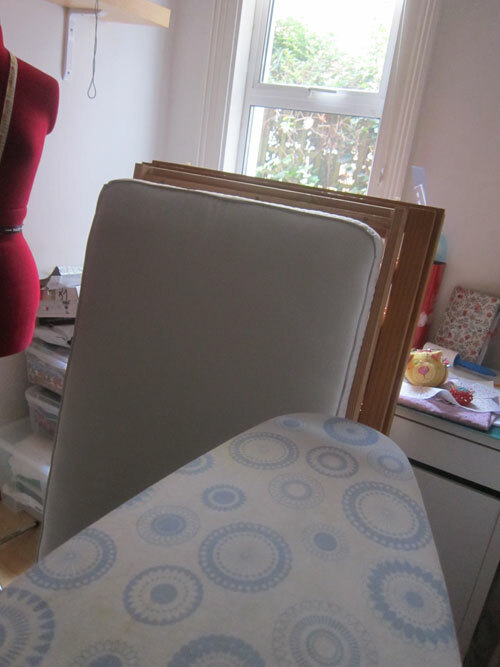 Now for the really exciting bit – the fabric! 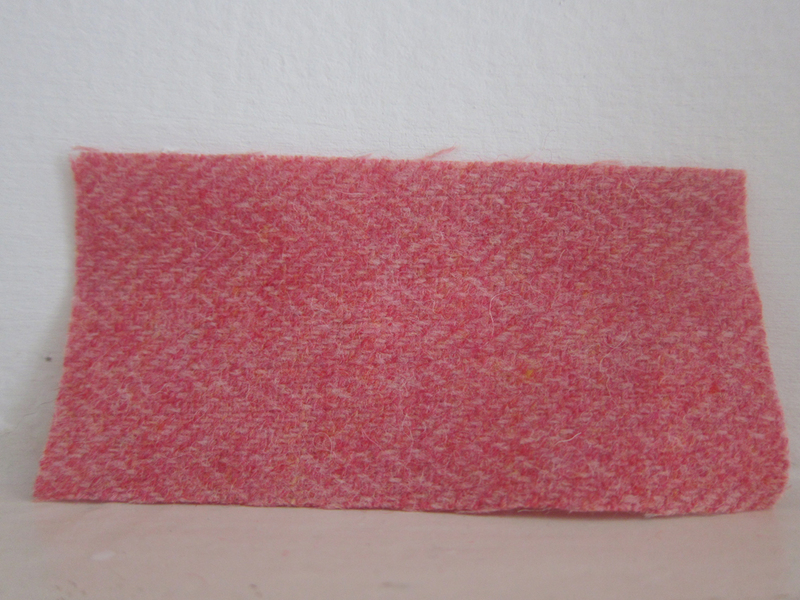 I have ordered a bunch of swatches from one of my favourite fabric suppliers Truro Fabrics. I just love the quality of their coatings and corduroys. When I’m doing a special project and one that I want to last (like here and here) I tend to go upmarket and swallow the extra cost. I think it’s worth it in the long run. Which is your favourite? I’m wavering between two (again!) 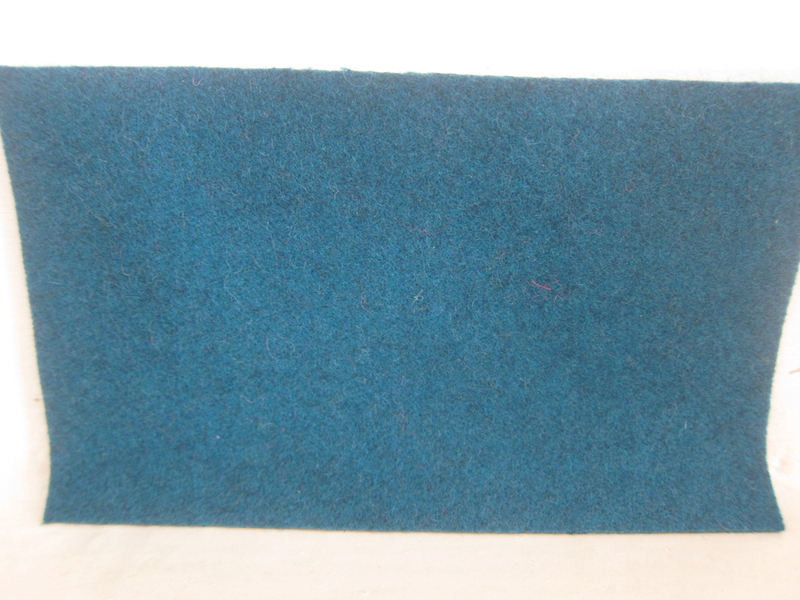 – the grass green coating and the teal wool blend. I love all of the colours and textures but I think the magenta is just a tad too bright for everyday wear and the coral, turquoise and clover run the risk of coming up a bit grannyish in the finished garment. The teal for me is bright enough to make a statement, it’s rich and deep enough in colour to make any bright button or lining really pop and it’s my favourite. colour. ever. Ooh I think I’ve gone and made up my mind… But I’m still excited to hear what you think! What’s your fave and why? 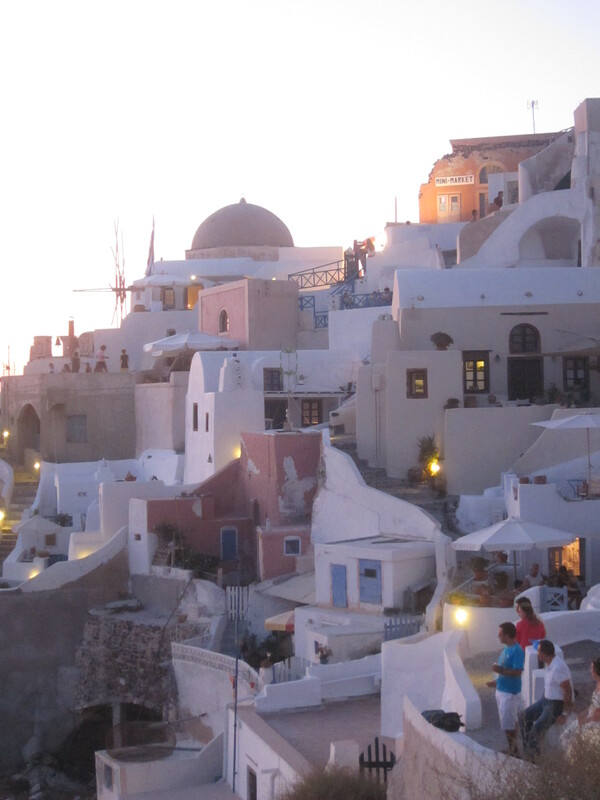 Last week I was sunning myself in beautiful Santorini, a gorgeous Greek island famed for its cascading cliff top villages in blue and white stone and the most stunning sunsets. The husband and I had decided it was time for a sun-filled, lazy break to mark the turning point from carefree adults with more money than sense into mature, sensible (mostly broke) parents-to-be. It was delightful to just chill out by the pool and on the beach (always within the shade of a large parasol, mind) and I brought my crochet needle with me! 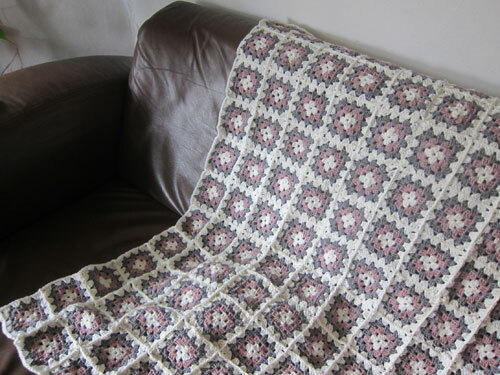 I managed to knock up 24 granny squares whilst away, which is almost another two rows of squares for my baby blanket. 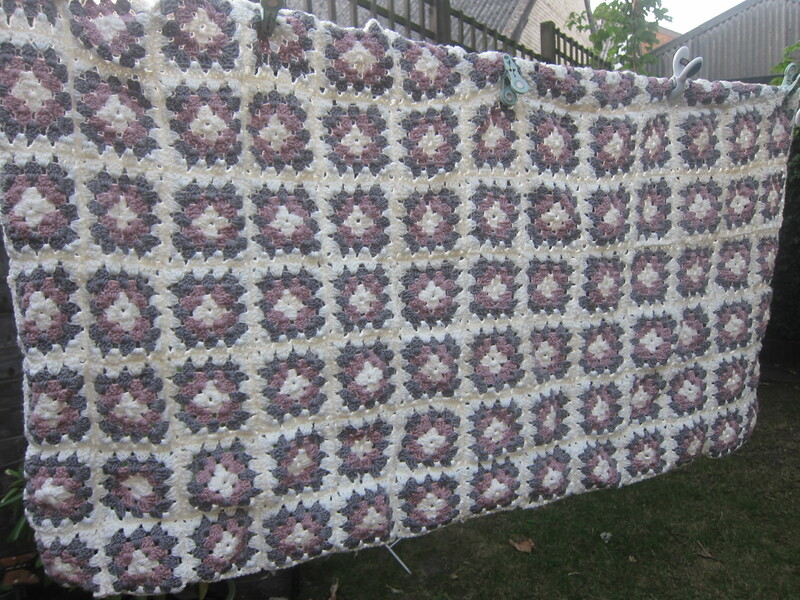 Here’s the project so far… I think perhaps another 100 or so granny squares and we’ll be done! 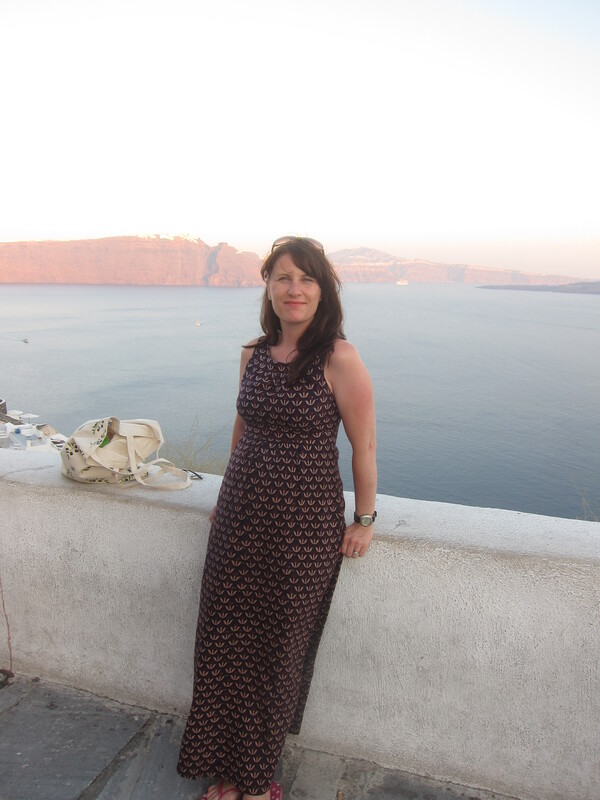 My maxiumus awesomus dress got loads of wear, being the perfect cool cover up for hot hot days. The bump is getting bigger but there’s still just enough room in the maxi for it. So now, after two weeks of working from home throughout the Olympics and then a week on hols, it’s back to the grindstone in the office – argh! I love September though – love that back to school feeling… now I just want to sniff pencil cases and get new leather satchels and break in patent leather shoes and such like. I’ve got over 300 unread blog posts to catch up on (forgive me if I just drop in and enjoy without leaving comments! ), a nightie to finish and a new dress to start work on and the prospect of a new winter coat to get excited about. Ooh and later this week we’ll have another special guest dropping in to tell us about her handmade style. Yay! The Book of Dave by Will Self – takes a while to get into it and you have to read some of the dialogue out loud to yourself in order for it to make sense (you’ll see) but very good and frequently funny. Narcopolis by Jeet Thayill – Bombay seen through the eyes of a collection of drug addicts. Read this in just a couple of sittings. Heart breaking in places. Longlisted for Man Booker 2012. Dress Your Family in Corduroy and Denim by David Sedaris. No – not a sewing book dear readers but a family memoir. Hilarious. If I was to write about my upbringing, I’d do it like this. The Teleportation Accident by Ned Beauman. My husband enjoyed this more than I did but it was still an absorbing and riotous tale of history, literature and um… physics and teleportation! Also long listed for the Man Booker. Any Human Heart by William Boyd. I started this on the plane on the way home and I can’t put it down. It’s a fictional memoir of journalist and novelist Logan Mountstuart and his passage from his teenage years between World Wars to (almost) present day. There was a TV adaptation a while back which was excellent but I think the book is even better at getting under the skin of the protagonist. Right – recommendations over! Back to school with you all! The Winter Coat: What pattern to choose? My goodness I know it’s still summer, and actually right now in London it’s hitting 30 degrees Celsius on a glorious August afternoon! But my thoughts are turning to Autumn and Winter – and more specifically – coats for Autumn and Winter. Spurred on by the relative success of my March Minoru and encouraged by the likes of Karen in creating the most sumptuous coat ever, and Jane with her Abbey coat loveliness, I’d like to try my hand at making a classic winter coat for myself. It’ll be something to take time over as the dark nights draw in. I’m also thinking as I get too big to make any new dresses or tops for myself it’s the perfect long-term project to keep me sharp. 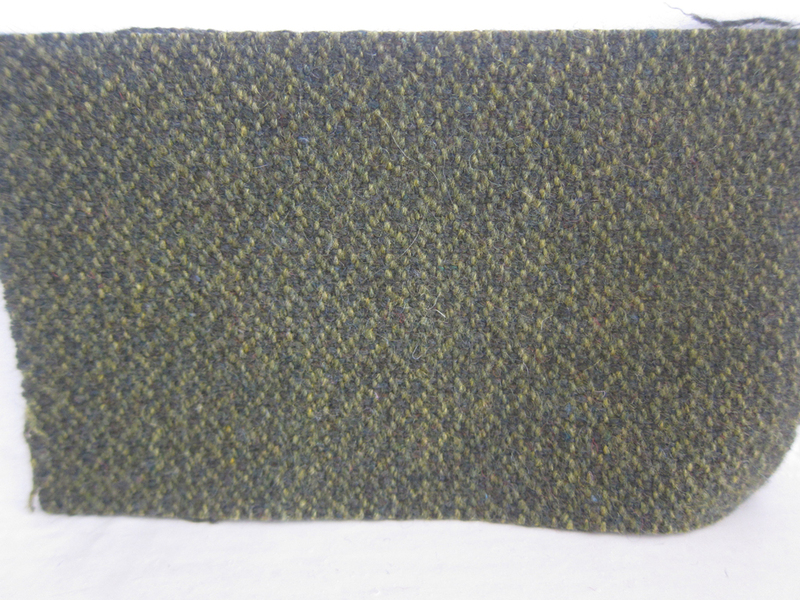 I’d like to use a classic vintage pattern, use good quality lining and outer fabric and choose a colour that I love. So many choices! First up – let’s look at the pattern. 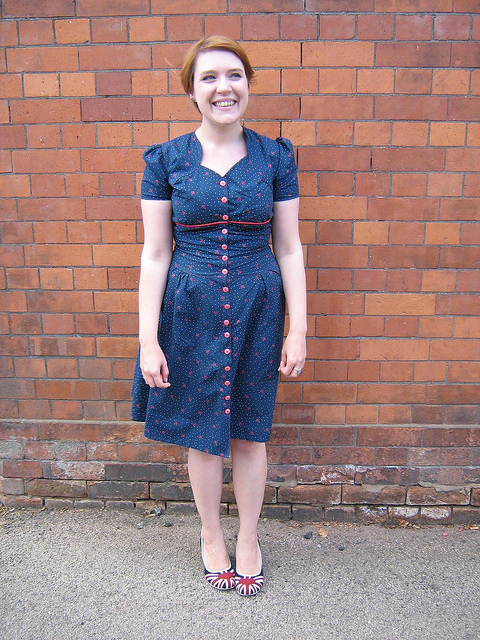 Look at that adorable peter pan collar, raglan sleeves and welt pockets. Isn’t it just the kind of coat you can snuggle down into? I can see it over skinny jeans and knee high boots as well as smarter outfits. And four buttons to go mad over! 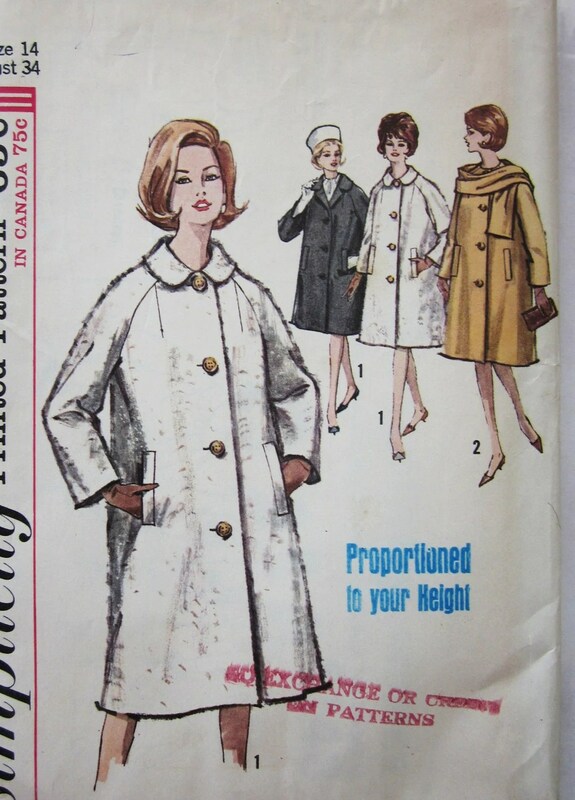 I have to say I found it hard finding vintage coat patterns on the internet that I liked. These are the only two that caught my eye. How about you? 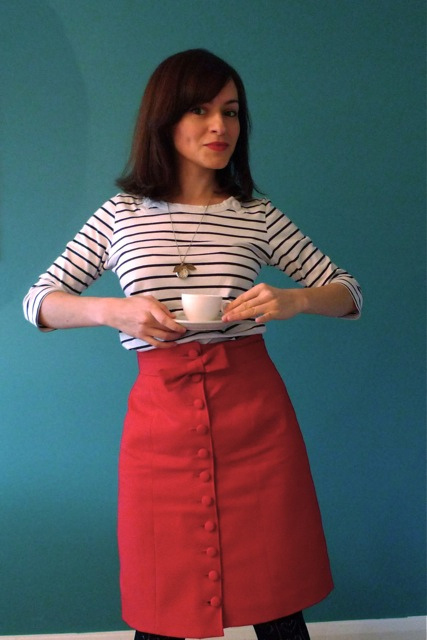 Know of a cute vintage or vintage-style swing/pea coat pattern with a peter pan collar that might suit the brief? Next up – I’ll be sharing some fabulous swatches with you. 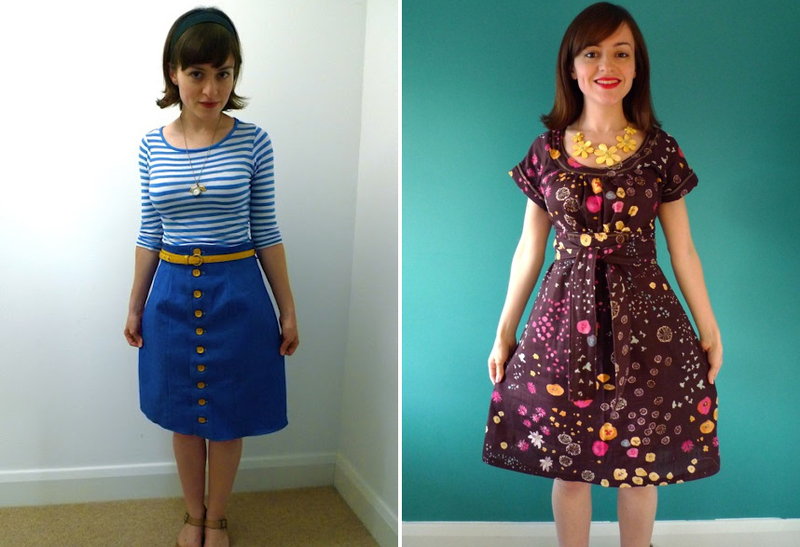 Are your thoughts turning to Autumn/Winter sewing now too? On Saturday morning I had a bit of time spare before my in-laws came for a flying visit, so what better way to while away a couple of hours than nip over to Walthamstow market for a quick fabric hoover? Three metres each of this adorable swiss dot in hot pink and lavender. 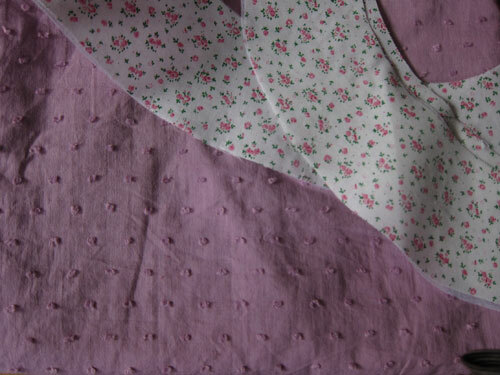 I’m going to draft a simple nightie using the neck yoke and gathered neckline of New Look 6864. 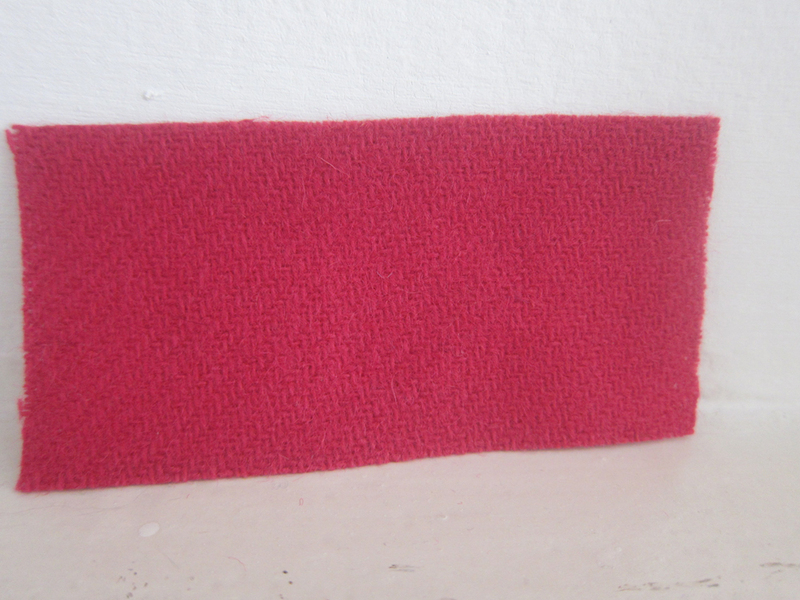 Three metres of this pretty red star-spangled jersey knit, to be used for New Look 6802. 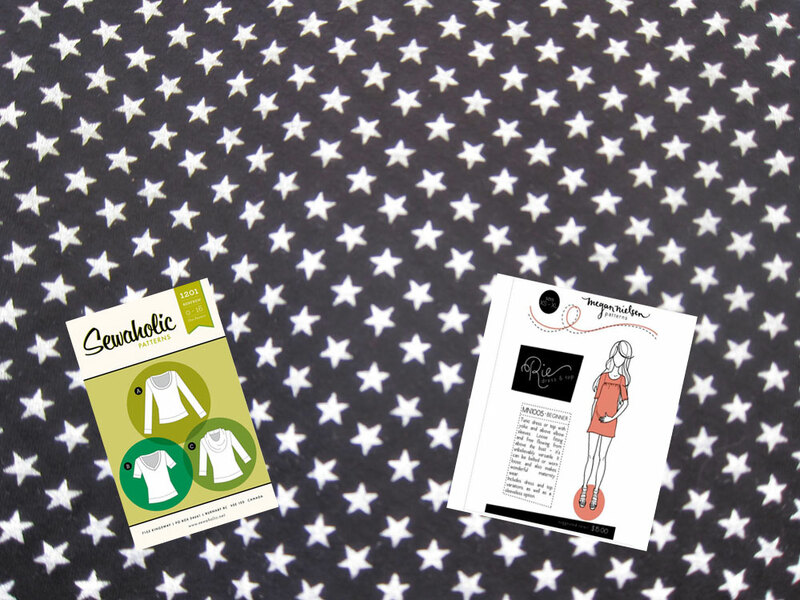 Two metres of this black star-spangled jersey, to be used either for Renfrew or Rie. Can’t decide. May have to buy more jersey! 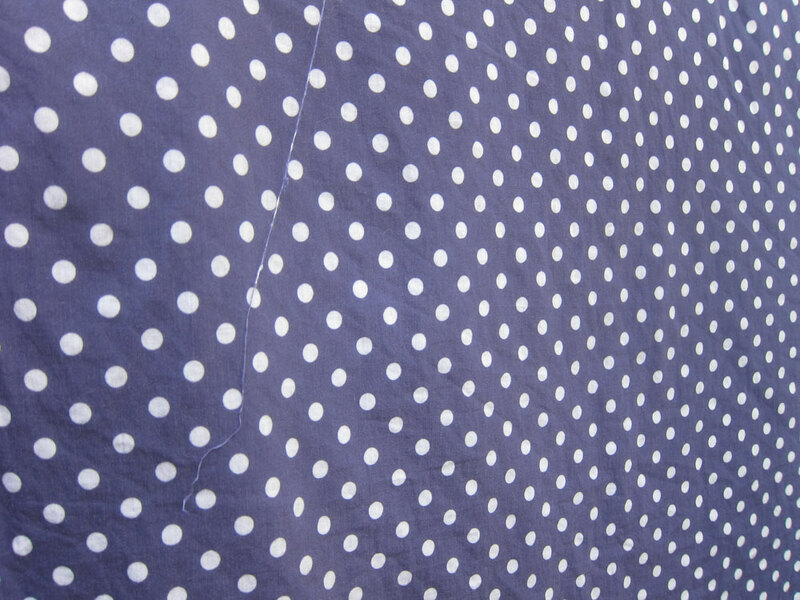 The love affair with petrol blue and polkadots continues with this pretty cotton – three metres were purchased. For any possible number of future projects. Gasp! 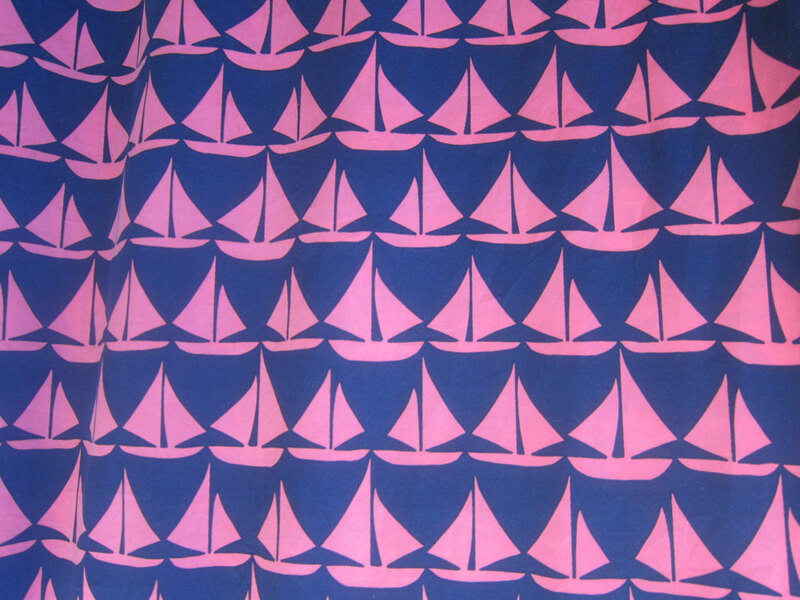 In tribute to Team GB’s amazing success at the old rowing and boating malarkey I’ve snapped up this cute sailing boat fabric – no idea what it is though. I’m positive it’s man-made but it has a lovely drape and a soft almost velvety feel to it. A pretty shift possibly? Forgive the dull pic – this is much prettier in real life. 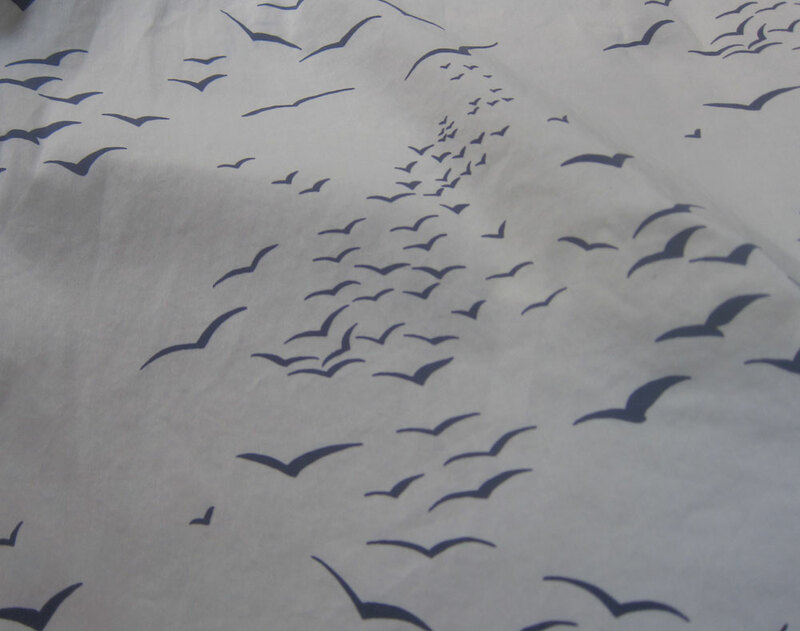 Birdy fabric – three metres of. Definitely man made and possibly quite flammable, but pretty nonetheless. 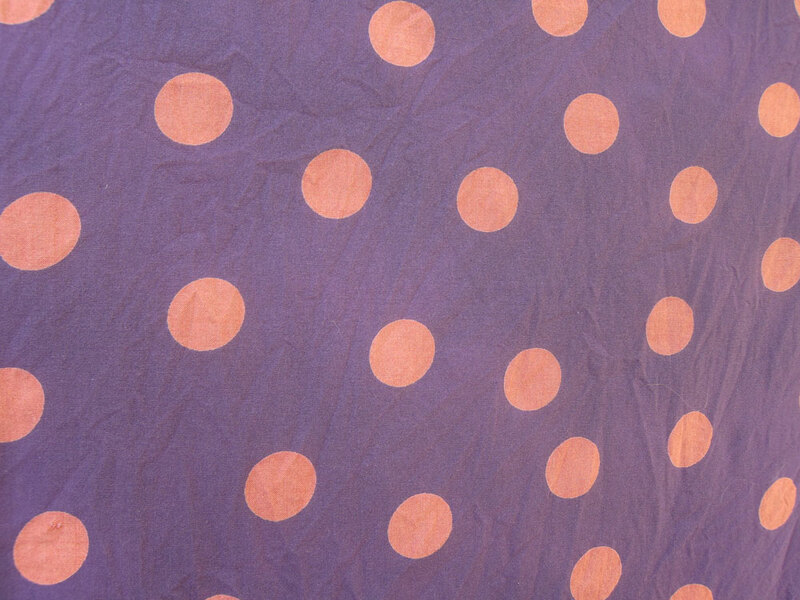 And finally a fun three and a half metres of this purple/orange polkadot craziness. Disappointingly the selvedge is ripped in several places and some of the purple has washed out a bit after pre-washing… but perhaps it can be used for wearable muslins. 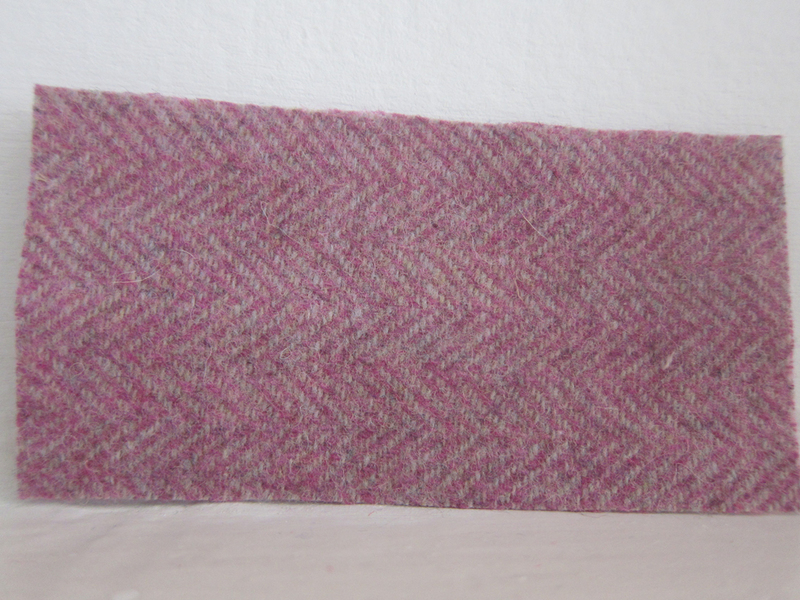 Bargain: £2/metre but worked out slightly less as we realised the selvedge issue in the shop so I was given a free half metre! Not bad eh? Have you had any sewing bargains recently?